Margot Robbie is producing and developing the Birds of Prey movie, so she has a say in what characters are used for the film. 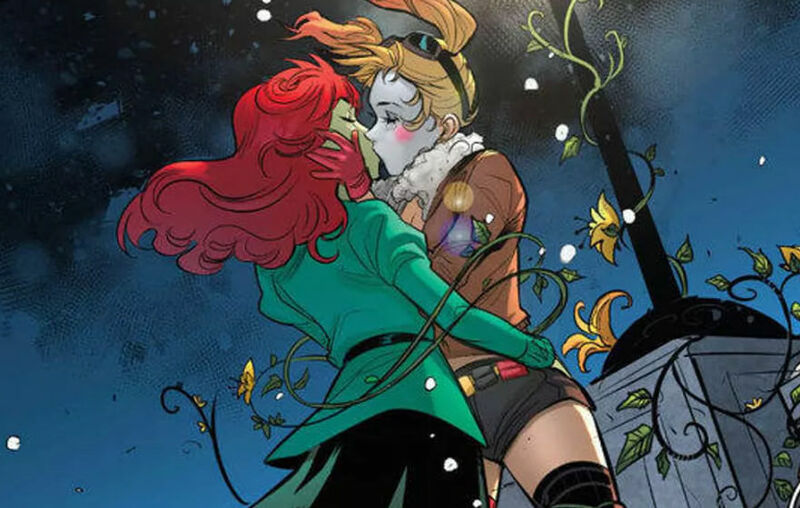 In the comics, Harley Quinn is pretty tight with Poison Ivy, who also happens to be a Birds of Prey member. In an interview with pridesource.com, Margot Robbie offers up she is very away of the character and stops short of stating she is getting the character into the DCEU and Birds of Prey movie. Regarding who could potentially play Poison Ivy, Robbie says she doesn't have anyone specific in mind just yet. Birds of Prey: And The Fantabulous Emancipation of One Harley Quinn has a February 7, 2020 release directed by Cathy Yan starring Margot Robbie as Harley Quinn, Jurnee Smollett-Bell as Black Canary, Mary Elizabeth Winstead as Huntress, Rosie Perez as Gotham City detective Renee Montoya, Ella Jay Basco as Cassandra Cain, and Ewan McGregor is playing the villain of the film with Black Mask.